Citation Information: JCI Insight. 2016;1(3):e75351. https://doi.org/10.1172/jci.insight.75351. Preeclampsia (PE) is a disorder of pregnancy that manifests as late gestational maternal hypertension and proteinuria and can be life-threatening to both the mother and baby. It is believed that abnormal placentation is responsible for the cascade of events leading to the maternal syndrome. Embryo implantation is critical to establishing a healthy pregnancy. Defective implantation can cause adverse “ripple effects,” leading to abnormal decidualization and placentation, retarded fetal development, and poor pregnancy outcomes, such as PE and fetal growth restriction. The precise mechanism(s) of implantation defects that lead to PE remain elusive. BPH/5 mice, which spontaneously develop the cardinal features of PE, show peri-implantation defects including upregulation of Cox2 and IL-15 at the maternal-fetal interface. This was associated with decreased decidual natural killer (dNK) cells, which have important roles in establishing placental perfusion. Interestingly, a single administration of a Cox2 inhibitor (celecoxib) during decidualization restrained Cox2 and IL-15 expression, restored dNK cell numbers, improved fetal growth, and attenuated late gestational hypertension in BPH/5 female mice. This study provides evidence that decidual overexpression of Cox2 and IL-15 may trigger the adverse pregnancy outcomes reflected in the preeclamptic syndrome, underscoring the idea that Cox2 inhibitor treatment is an effective strategy for the prevention of PE-associated fetal and maternal morbidity and mortality. Citation Information: JCI Insight. 2016;1(3):e85461. 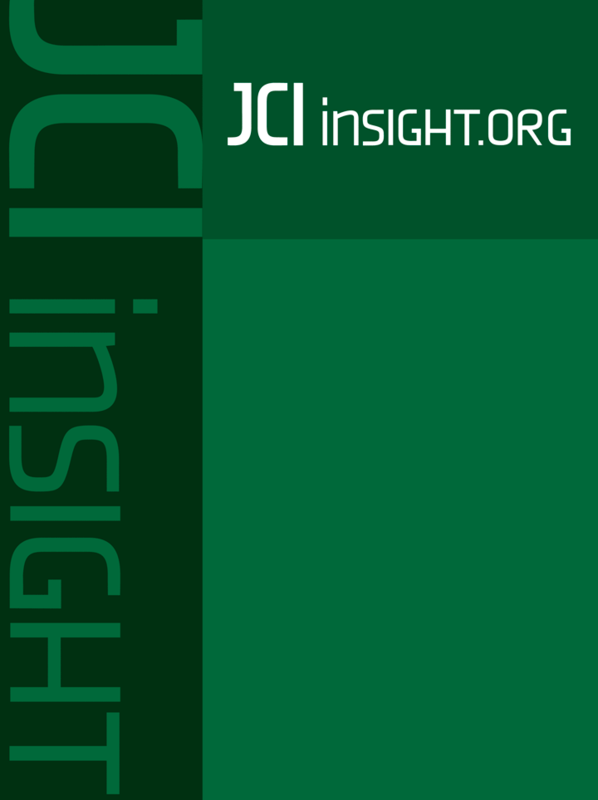 https://doi.org/10.1172/jci.insight.85461. The 2p15p16.1 microdeletion syndrome has a core phenotype consisting of intellectual disability, microcephaly, hypotonia, delayed growth, common craniofacial features, and digital anomalies. So far, more than 20 cases of 2p15p16.1 microdeletion syndrome have been reported in the literature; however, the size of the deletions and their breakpoints vary, making it difficult to identify the candidate genes. Recent reports pointed to 4 genes (XPO1, USP34, BCL11A, and REL) that were included, alone or in combination, in the smallest deletions causing the syndrome. Here, we describe 8 new patients with the 2p15p16.1 deletion and review all published cases to date. We demonstrate functional deficits for the above 4 candidate genes using patients’ lymphoblast cell lines (LCLs) and knockdown of their orthologs in zebrafish. All genes were dosage sensitive on the basis of reduced protein expression in LCLs. In addition, deletion of XPO1, a nuclear exporter, cosegregated with nuclear accumulation of one of its cargo molecules (rpS5) in patients’ LCLs. Other pathways associated with these genes (e.g., NF-κB and Wnt signaling as well as the DNA damage response) were not impaired in patients’ LCLs. Knockdown of xpo1a, rel, bcl11aa, and bcl11ab resulted in abnormal zebrafish embryonic development including microcephaly, dysmorphic body, hindered growth, and small fins as well as structural brain abnormalities. Our multifaceted analysis strongly implicates XPO1, REL, and BCL11A as candidate genes for 2p15p16.1 microdeletion syndrome. Citation Information: JCI Insight. 2016;1(3):e85630. https://doi.org/10.1172/jci.insight.85630. FMS-like tyrosine kinase 3–targeted (FLT3-targeted) therapies have shown initial promise for the treatment of acute myeloid leukemia (AML) expressing FLT3-activating mutations; however, resistance emerges rapidly. Furthermore, limited options exist for the treatment of FLT3-independent AML, demonstrating the need for novel therapies that reduce toxicity and improve survival. MERTK receptor tyrosine kinase is overexpressed in 80% to 90% of AMLs and contributes to leukemogenesis. Here, we describe MRX-2843, a type 1 small-molecule tyrosine kinase inhibitor that abrogates activation of both MERTK and FLT3 and their downstream effectors. MRX-2843 treatment induces apoptosis and inhibits colony formation in AML cell lines and primary patient samples expressing MERTK and/or FLT3-ITD, with a wide therapeutic window compared with that of normal human cord blood cells. In murine orthotopic xenograft models, once-daily oral therapy prolonged survival 2- to 3-fold over that of vehicle-treated controls. Additionally, MRX-2843 retained activity against quizartinib-resistant FLT3-ITD–mutant proteins with clinically relevant alterations at the D835 or F691 loci and prolonged survival in xenograft models of quizartinib-resistant AML. Together, these observations validate MRX-2843 as a translational agent and support its clinical development for the treatment of AML. Citation Information: JCI Insight. 2016;1(3):e85902. https://doi.org/10.1172/jci.insight.85902. We report the discovery of a claudin-low molecular subtype of high-grade bladder cancer that shares characteristics with the homonymous subtype of breast cancer. Claudin-low bladder tumors were enriched for multiple genetic features including increased rates of RB1, EP300, and NCOR1 mutations; increased frequency of EGFR amplification; decreased rates of FGFR3, ELF3, and KDM6A mutations; and decreased frequency of PPARG amplification. While claudin-low tumors showed the highest expression of immune gene signatures, they also demonstrated gene expression patterns consistent with those observed in active immunosuppression. This did not appear to be due to differences in predicted neoantigen burden, but rather was associated with broad upregulation of cytokine and chemokine levels from low PPARG activity, allowing unopposed NFKB activity. Taken together, these results define a molecular subtype of bladder cancer with distinct molecular features and an immunologic profile that would, in theory, be primed for immunotherapeutic response.